Hacknext, the InsurTech Hackathon and Conference will bring together the most creative and passionate technologists to team up and showcase their talent. Developers, designers and creators are invited to build groundbreaking software solutions that solve real-world problems; and for non-hackers, Hacknext offers keynote speakers and workshops that cover upcoming technological trends and industry insights. Hacknext invites coders, developers, design thinkers, designers and insurtech talents to work together in teams on technical, business or design ideas for the insurance industry. With four different challenges to choose from, each team’s achievement will be reviewed and rated by a panel of expert judges. The top teams will be awarded with prizes such as free technical platform accounts, and various other give-aways with a total value of more than 10.000 Euro. Want to learn more? Sign up and start hacking! This year we are upping our game! On Friday and Saturday we’re introducing keynote speakers and workshops from influential industry leaders and design thinkers. This is your chance to see what the future of insurance looks like, so join Hacknext and reserve your spot today. Keep an Eye on the User. Why do we need the User for our Product Development? Design and Development Processes with a User Centered Design approach. Customers produce new data every day of their life and insurance is all about calculating potential risks based on gathered data. How can customers and insurance companies benefit from these new data points? Instead of only covering the occurred damages, how can insurance companies also reduce risk and prevent accidents? Identify new potentials and show us how customers can make their lives safer and more convenient through smart products or assistance service ideas. Only 1 out of 500 touchpoints with your bank is face-to-face! Hence, from an insurance perspective, it is highly relevant to make better use of digital interactions between the customer and its bank. How can online/mobile banking and PSD2 be used for better risk assessment? How can a customer’s insurance portfolio be optimised? How can the Bancassurance channel be revolutionized? The old Greeks already knew – panta rhei! Unfortunately, they did not tell us how insurance sales in 2025 should be realised. How do customers want to interact with their insurance agents and in which other situations could agents help them? How do you want to be consulted in the future? In the case of a face-to-face meeting, how could technology be used to optimise the consultation process after a claim? Shape the future of a customer’s interaction with their insurance company and agent. How much money do people need to retire? How can young people be engaged in their retirement planning? Develop new concepts where people can plan their financial future and get control over their retirement entry age! Deliver an enthusiastic, hassle-free path to help customers look forward to their retirement again; free of financial troubles. How will your work be judged? 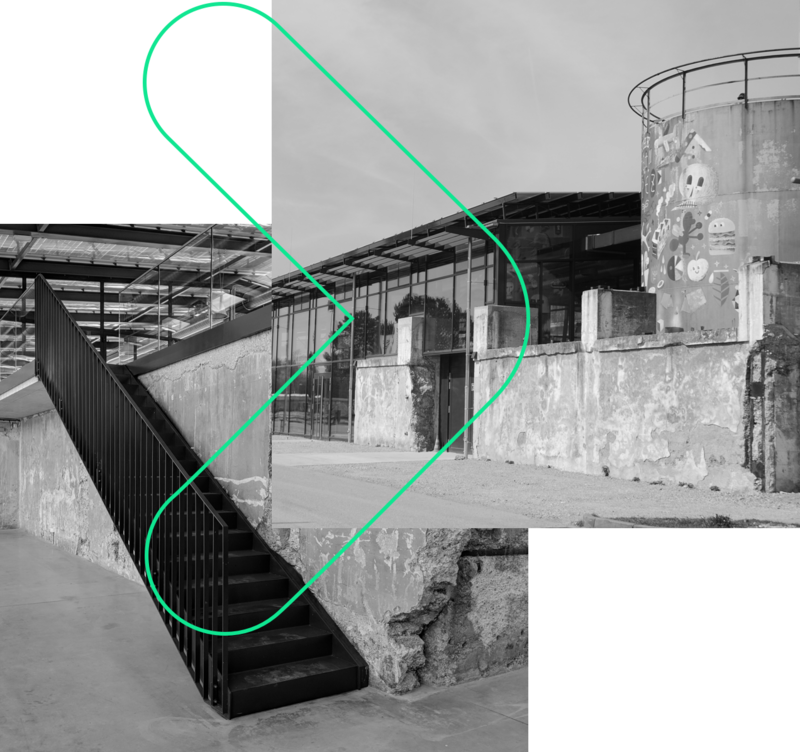 As a stunning combination of 100-years-old walls with new and modern elements, the Kohlebunker provides the ideal environment for fresh ideas and great collaborations. Kohlebunker, Lilienthalallee 37, 80939 Munich. Subway Station: Freimann (U6). Our partners are a mix of industry leaders and agile startups, all looking to support young developers and co-create the innovations of tomorrow. Explore Hacknext’s extended family below. We want you to succeed! In order to help you accomplish building awesome solutions, we have assembled some great resources and platforms for you to take advantage of during the hackathon. Please note: The ticket price of 25€ for participating in the hackathon can be regarded as a deposit and will be refunded when showing up at the event! A hackathon is a collaborative design event, typically lasting several days, in which coders, developers, design thinkers, designers and subject-matter-experts, collaborate intensively on software projects. When and where does the Hacknext take place? Purchasing a ticket is your immediate registration for the event. There is no application process and you, as a Hackathon participant, will receive your money back once you check in on site. Who can attend? Is the Hackathon only appropriate for participants with sophisticated programming skills? We are not just looking for Hackers, but Hipsters and Hustlers too; so that means the UX Designers, Economists, and Creatives who also want to help solve a problem. A good hacker team combines all these skills together for a winning combination. You do not need to apply as a team, actually most people apply as individuals. On Thursday afternoon there will be the challenge selections and the team building. Already have a team and want to register? Great, but each member needs to register individually via Eventbrite on the www.hacknext.de homepage. A team should have at least 4 and a maximum of 6 team members. Are there any requirements that participants need to bring to Hacknext? There are no requirements but it is for sure of advantage if you bring your laptop and your personal working material as we provide you only with internet, paper, pencils and work spaces. Which standard technologies will be used? You can use all technologies you have and in addition we will provide you with technologies from the API-sponsors. These will be introduced to you shortly before and during the event to have fair conditions. Will there be any API trainings before the event? Yes, IBM will deliver an online training on Wednesday the 27th of February 17:00-18:00. Participants will get further information via email prior to this date. Will it be possible to network and collaborate with the industry-relevant companies at the event? It will be possible to get in contact with most sponsors. Actually, the winning team from the 2017 Hacknext realized their concept through continued collaboration with one of the sponsoring companies. You can find a list of collaborators and sponsors on the website. There are cash prizes of € 10.000,00 and 3x € 1.000,00 plus some special prizes from our sponsors, which will be announced in the coming weeks. Is the venue accessible for participants with restricted mobility? Yes! While a handful of workshops will take place upstairs - the majority of conference workshops, as well as the entire Hackathon itself, remain wheelchair accessible. Are travel and accommodation costs reimbursed? No, travel costs will not be covered by Hacknext, but we will take care of offering you great food, coffee and many other awesome treats. Speaking of food and coffee… what will be provided during the event? We will provide drinks (soft drinks, coffee, beer etc. ) during the event as well as breakfast, lunch, dinner and midnight surprise! If you prefer a vegetarian option, make sure to select this during your ticket purchase so our caterer can plan accordingly.